First, the Pretty Things: You know how I’m always asking for you readers to send me photos of items you make with the fabrics from my shop? It’s because I sincerely enjoy seeing what you make! Like it? I do. Kaz of Kaz Style is a talented stitcher from Japan, now living in Atlanta, Georgia. I’m always thrilled to see her new creations, and more than happy to feature them here. Click on the photo to view the Etsy listing for this bag, and check out the others available while you’re there. 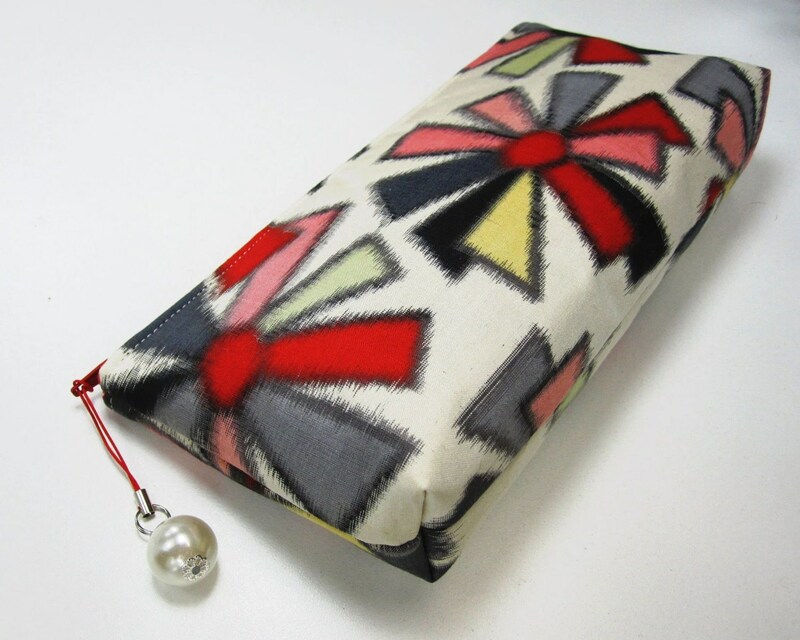 Next, some News: Just confirmed – I will be teaching a Sashiko Furoshiki class at Knit-One-One in Berkeley, CA May 8! Register now to reserve your spot. I will be bringing my full sashiko retinue, including a rainbow of thread colors, Japanese fabrics by Olympus, needles, thimbles and sashiko craft books in both Japanese and English. Finally, the Promotion: Sign up for my email newsletter and get a 10% discount to use anytime! Drop me an email and I will add you to the list. I’m still in the process of setting it up, so it may be a few days before things get up an running. Just put “mailing list” in the email subject line and you’re in!